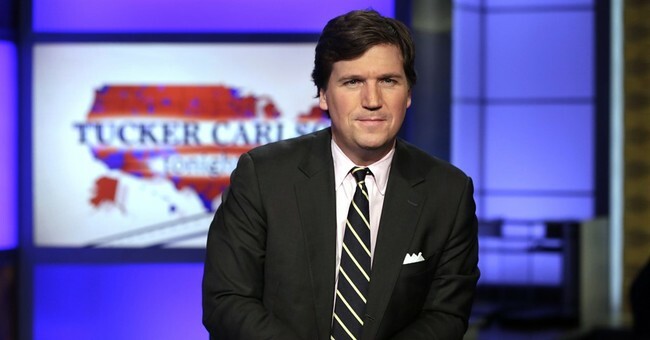 Tucker Carlson opened his nightly show Tucker Carlson Tonight yesterday with a fantastic take down of the "morons" from MSNBC Lawrence O'Donnell and Joy Reid for suggesting that White House Chief of Staff General John Kelly is somehow racist for criticizing Rep. Frederica Wilson (D-FL). Lawrence O'Donnell, who is an Irish Catholic from Boston himself, proclaimed that Gen. Kelly grew up in a segregated neighborhood where women were abused. “John Kelly never sat next to Frederica Wilson in his elementary school,” O'Donnell said. Adding "the language used in John Kelly's white neighborhood about black people was the exact same language used in the segregated south." O'Donnell goes on to say that he grew up in an "identical neighborhood" and went to high school in Kelly's neighborhood. It is worth noting that as a wealthy son of a prominent attorney, that high school O'Donnell attended was the affluent Catholic private school, St. Sebastien's. "It was a neighborhood in which calling someone who looked like Frederica Wilson an ’empty barrel’ was the kindest thing someone said about her." Joy Reid, tweeted support for O'Donnell's sentiments and took it one step further, blaming not only Kelly's Irish upbringing but his Catholic faith as well.
.@Lawrence grew up in that same neighborhood. But clearly he grew to become something else. Unbelievable. MSNBC’s Joy Reid never one for subtlety went even farther than that. She attacked General Kelly’s entire childhood as racist. Quote, “Kelly grew up in segregated Boston,” she tweeted, “in an Irish Catholic neighborhood where women were bullied not honored and blacks scorn and rejected.” Because really, there is nothing like using growth ethnic stereotypes when you’re fighting for racial justice as she says she is. According to Joy Reid, the problem isn’t just General Kelly. It is the Irish, they’re the problem. This is grotesque, obviously. The morons making these arguments are sick. It’s the centrum of disease to imagine racism behind every disagreement. This also by the way the death of traditional political debate. You can argue with people who disagree with you who are just wrong, but there is no reasoning with bigots, you can only crush them. Your opponents suddenly become your enemies. They must be destroyed. And that by the way is how many on the left now see General Kelly not to mention you and me. Watch the full clip below starting at 0:00.